Sgt. Andrew Tahmooressi is an American citizen and a U.S. Marine. Andrew has been detained in a Mexican jail since April 1, 2014. He was jailed by Mexican authorities after he inadvertently crossed the border and drove into Mexican territory. I am concerned for Sgt. 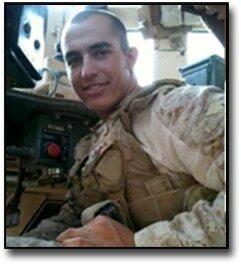 Tahmooressi and his safety. I am also concerned and disappointed that your administration hasn’t done more to secure his release. This statute is plain and simple. It basically says that if a U.S. citizen is wrongfully denied his life or liberty by a foreign government, the President has to do something about it. With my signature, I join Freedom Alliance in demanding that you adhere to this provision of law, and use your influence and the resources of your office and Administration to secure the release of this Marine from the Mexican prison in which he is being held.